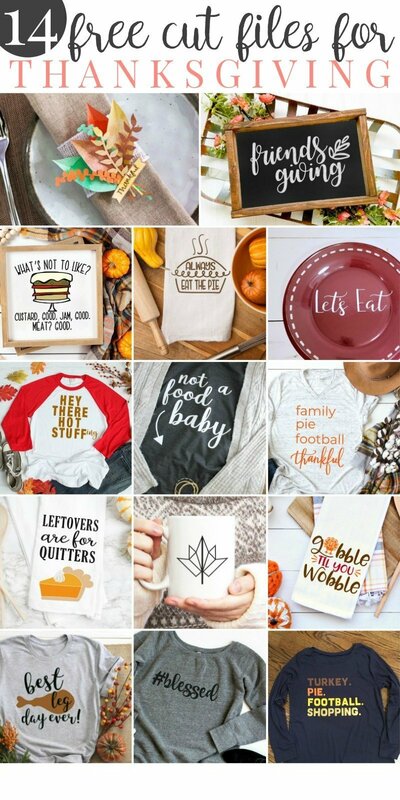 Make your Thanksgiving a little more festive with these FREE SVG files from me and a few of my favorite people! 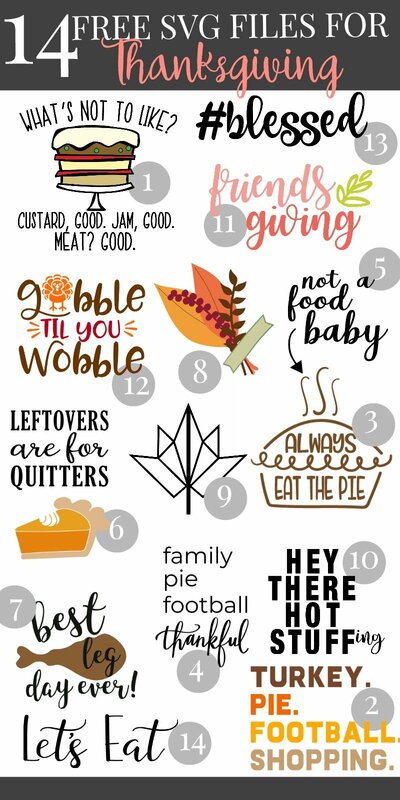 My favorite holiday (all the food, none of the stress of gift buying!) 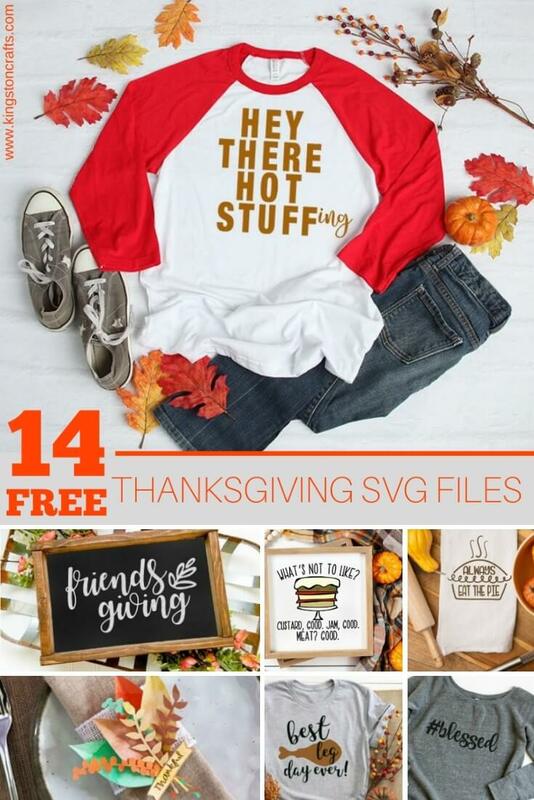 is almost here – and my fabulous friends and I are sharing a round up of FREE Thanksgiving svg files that we’ve created just for you. Can’t wait to see what you create! Besides being – you know…FREE – the best thing about these svg files is that they lend themselves to almost any project! Want to make a t-shirt or tote bag? Cut it from iron-on. How about a card? Get out a piece of cardstock and have at it! Window cling, vinyl, bonded fabric – the possibilities are endless. I LOVE stuffing. I mean…LIVE for it. So how better to celebrate it than with its own svg file? Click here to download (click the link then right click to download to your computer). I am RIDICULOUSLY lucky to be part of a creative girl tribe and every month we’ll share FREE svgs for upcoming holidays and events (see links below). Head on over to The SImply Crafted Life for last month’s Halloween SVGs. Next month – CHRISTMAS!! woohoo!! 10. 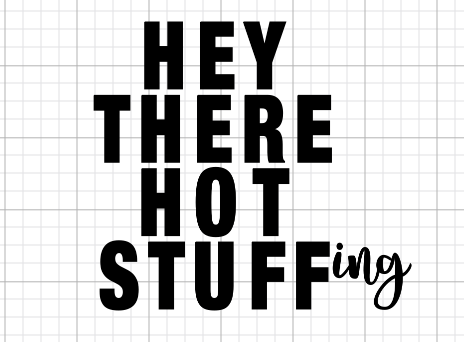 Hey There Hot Stuff(ing) – Kingston Crafts – that’s me!!! Ha – this one made me laugh! Great job!